Written for EO by Juned Ghanchi, co-founder and CMO at IndianAppDevelopers. 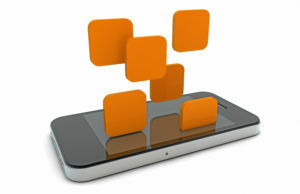 Have you ever dreamed of developing your own mobile app? But maybe you’re overwhelmed by how to begin? I’ve simplified the process into eight steps. Let’s get started! By validating your app idea, I mean confirming that your product will be wanted—that it will be useful for people. Your mobile app idea remains a hypothesis until the first set of customers actually purchases it. Tools such as Google Keyword Planner may be used to get insights on the number of people seeking your app idea. This information can also help you build a landing page that highlights your app idea and draws user interest through email signup. Once you’ve validated your idea, document your product in detail, either on paper or by using wire-framing tools like JustInMind or Proto.io. Include maximum detail while sketching your idea—being sure to show a user navigation workflow and every feature. Laying out more detail upfront will make the next steps easier. Closely review the prototype or wireframe, identifying any non-core features. Retain only those features that support the core value of your mobile app start-up idea. In the very first version of your app, include only the “must-have” features and not the “nice-to-have” ones. The must-have features are those that are most useful for the user. The others may be added in later updates. This will help you keep costs in check while reaching the market quickly. You may be tempted to go for a basic design, focusing your time and resources on developing the app’s functions. You’d be wrong to do so, however. The design is not simply the look of your app, but also a valuable way to enhance the user experience of the app—which, in term, makes the app more successful. A brief of your mobile app should include the context or background of your idea, details about your target customers, and what make the app useful to potential customers. Also include wireframes or prototypes, features and budget. Share the brief with potential development partners to acquire an estimate of timelines and pricing from them. Take care to avoid making price your final decision-making factor. As you know from business, the lowest price option is not always the best option. Check out the timelines and pricing offered by a number of custom software development partners. After sorting through the ones that suit you, check out their design talent, development team integrity, portfolio, credibility and reviews. Ultimately, you’ll want to partner with an organization based on the quality of their work, taking into consideration other parameters. You’ll eventually need a way to track statistics like user engagement, reviews and retention. So make sure to allow for these analytics early on. Tools such as Flurry and Localytics are good places to start. Once your product is live in the app store, customer usage and in-app behavior will provide insights to guide your improvements and enhancements. Ongoing feedback and dialogue allows you to make your app better over time. 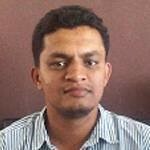 Juned Ghanchi is the co-founder and CMO at IndianAppDevelopers and a developer with ten years of experience.